I was recently asked if I could run a PIP server on Cloud Foundry. After a quick Google search I found PyPICloud and discovered that this is possible! 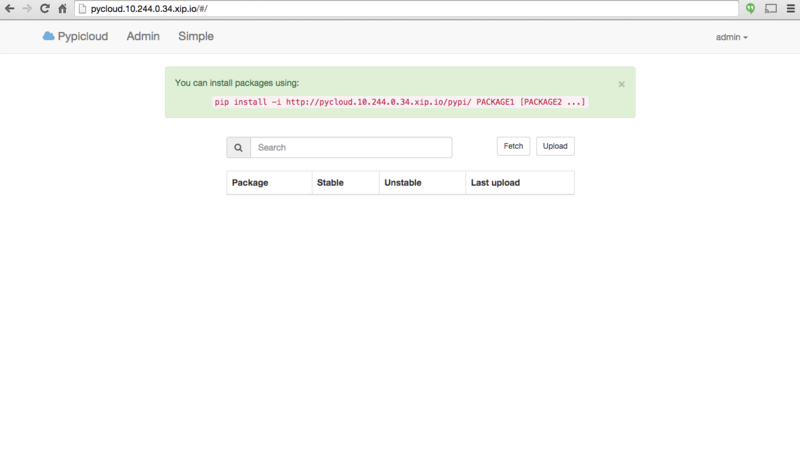 You will be prompted for the admin user and S3 bucket to store the Python packages. While it is possible to store these files in the local operating system instead of S3, you risk losing these files if the PyPI server is redeployed on Cloud Foundry. Note: Storing the Python packages to the file system is a terrible idea, you will lose your package. Only use S3 to store the package files.